Whatsapp Web is the web extension of Whatsapp with which you can chat on Whatsapp via Google Chrome browser on any laptop or desktop pc. The much anticipated Whatsapp on PC version is now official. 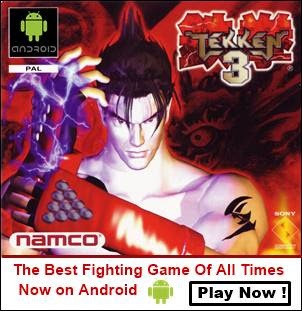 However it is just a web interface you do not need to install any app or software on your desktop pc. In this tutorial I will teach you how to set it up on Google Chrome. Android, Blackberry, Windows Phone, Nokia S60, Blackberry 10 are only supported but iOS is not supported. Download the latest version of Whatsapp for your respective smartphone from their app stores. Open Google Chrome and go to ‘web.whatsapp.com’. Here you will see a QR code. Mozilla Firefox, Internet Explorer, Opera, Apple Safari nd all other browsers are unsupported. 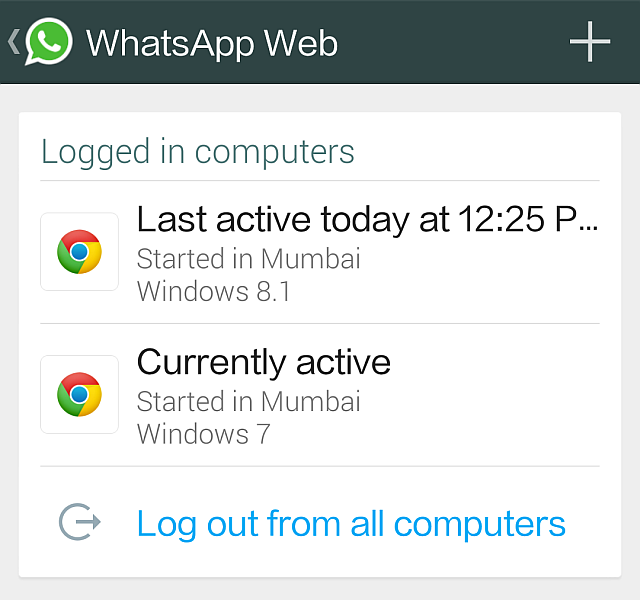 Open Whatsapp and tap menu and select ‘Whatsapp Web’. Now scan the QR code in Google Chrome with your smartphone. After scanning the code your phone will vibrate and your Whatsapp account will automatically open in the browser. Here you can see your account and can initiate chats with any contact as you do in your phone. Just click the ‘Chat’ icon and choose a contact to start the chat. Sending images is very easy as you can send photos and images directly from your desktop pc’s hard drive and can snap in your selfies from your notebook’s webcam. Initiate chats with any contact. Record videos from your webcam and send them. Type messages faster with the help of your computer’s keyboard. Can chat with same whatsapp account from multiple desktops. Can’t change your status or profile picture. Can’t create a new group. Also you can not leave a group. Can not send contact information and location via Google maps. 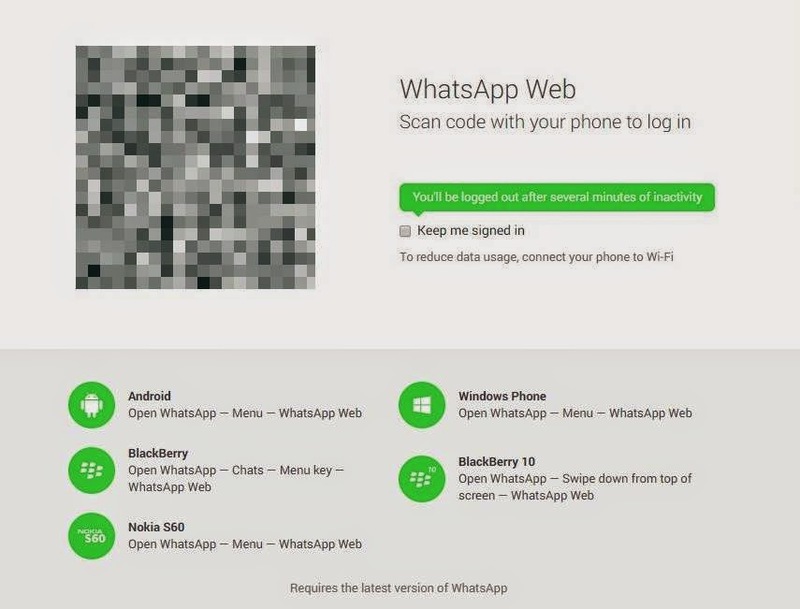 Well after your chats are complete you need to logout from Whatsapp Web so that others won't see your messages if the computer is a shared one. Simply click the menu and choose 'Logout'. If you are using multiple browsers then you can disable access from your whatsapp account at once by going to 'Menu>Whatsapp Web' in the Whatsapp app. Here you will see all the list of browsers from you are currently logged in. Tap 'Log out from all computers' and you are done.